Abhina Aher grew up in a middle class community in Mumbai, India. At a young age she knew that she was different from the rest of the boys stating that: "I used to love to wear the clothes that my mother used to wear her jewelry, her makeup, that is something which used to extremely fascinate me." 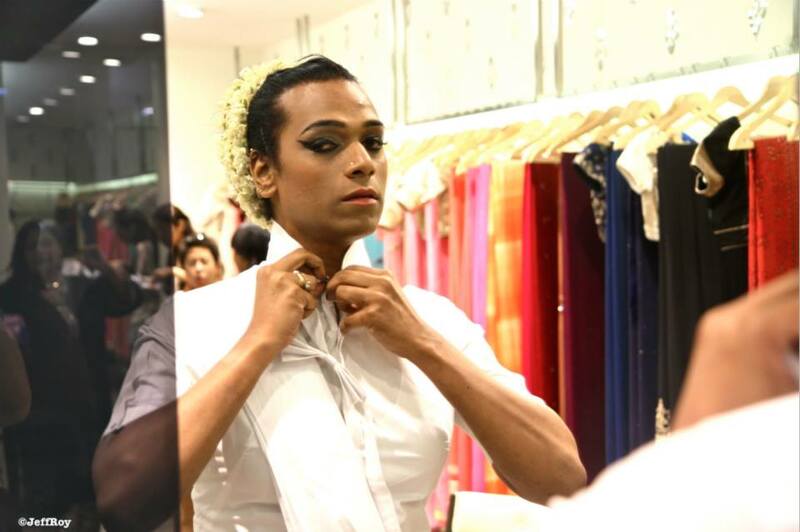 Her journey has been difficult but she become a part of the "Hijra" an ancient community in India that welcomes transgender people. She has been a vocal activist on transgender rights in India and has been advocating for greater visibility and equality for the LGBTQ community. In 2003, she founded The Dancing Queens which is a dancing troupe that helps bring awareness in India about sexual and gender diversity. She has also attended the HRC's Global Innovative Advocacy Summit which is an annual conference that allows emerging and established advocates from all over the world to exchange ideas and approaches to advance LGBTQ equality. Recently in India a Supreme Court decision has been handed down that recognizes a third gender under the law that is neither male or female. Which redefines their rights and the governments obligations to them as one of the most marginalized groups in the country. This Court ruling is a milestone for a country that still looks at homosexuality as a criminal offense. Nevertheless, Aher knows that there is still a lot to do. "What we have done is that we have put a foot inside a door, which is a door of hope, and we will open it — very, very soon."